Like many other fellow travelers, my international travel started with a Euro trip. With its diverse landscape, intriguing history and dazzling artistic and culinary diversity, it beckons you to come back again and again. 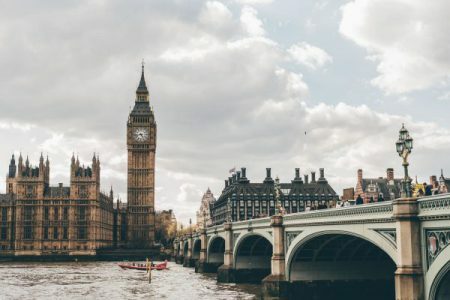 Having traveled through the Euro-rail and hopping on multiple flights, you realize the best way to explore the rich culture and scenic countryside is by road. A Euro trip can never be complete until you get behind the wheel and meander through the enchanting lanes that connect this continent. 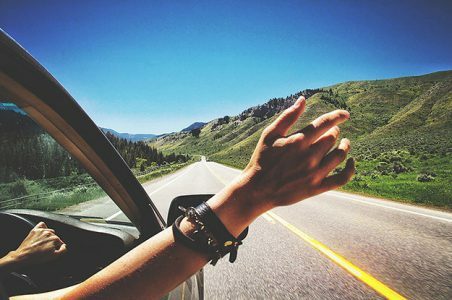 This is a collection of 5 mesmerizing roadways which will delight every car enthusiast. In 2015, Avis Europe conducted a study to find World’s Best Driving Road using ADR (Avis Drive Ratio) and the winner was the phenomenal route from Peso da Régua to Pinhão in Portugal. The N-222 cuts right through the heart of the Douro Valley, offering amazing views of the terraced hillsides. 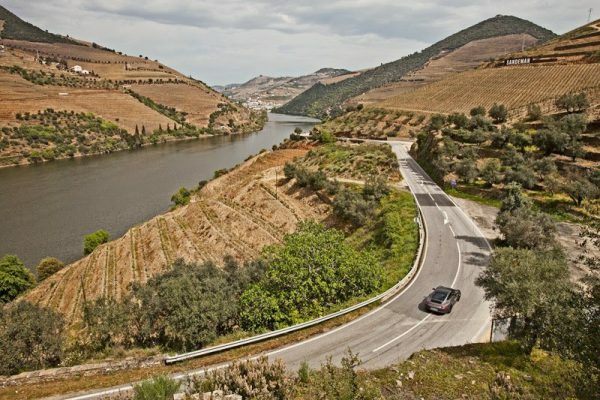 The road takes drivers along a glorious road that hugs the River Douro, enjoying spectacular views over the vineyards near the river, and finishes in the picturesque wine town of Pinhão. The total stretch is 27km, including 93 bends keeping drivers on their toes midst the changing views of this scenic route. You also get a chance to visit the Douro winemaking region which is a UNESCO World Heritage Site. 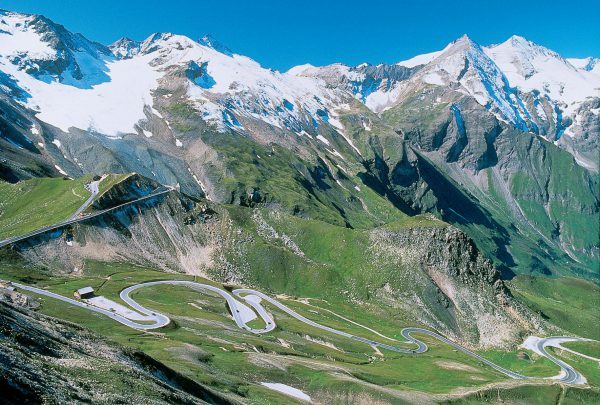 The Grossglockner High Alpine Road is the highest surfaced mountain pass road in Austria and rightly the most popular amongst the sports car and motorcycle enthusiasts. Passing through the Hohe Tauern National Park road climbs to Hochtor Pass (2,504 meters) before you get to Kaiser-Franz-Josefs-Höhe (2369 m) for a scenic view of Pasterze Glacier. 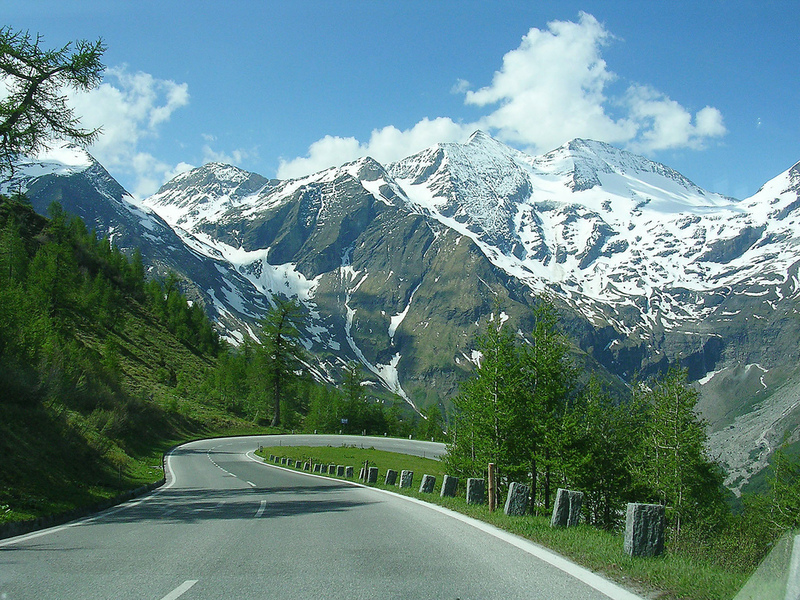 A series of 36 challenging, tire-squealing hairpin bends and a panoramic view of the Austrian Alps are well worth the €34 Toll. 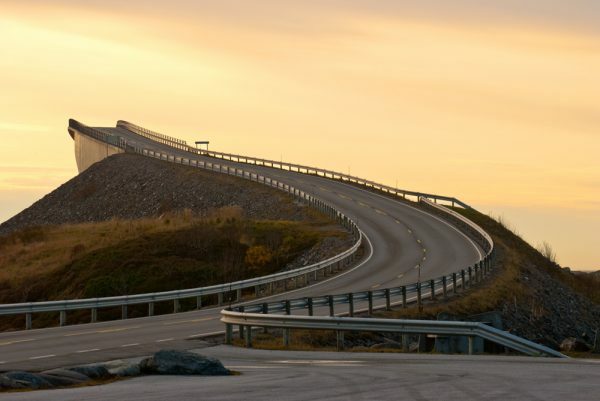 Acclaimed as both the best driving road and the most dangerous road to drive, Atlantic Ocean Road connects the mainland to Averøy Island. Built over an archipelago, it offers multiple viewpoints for you to stop. 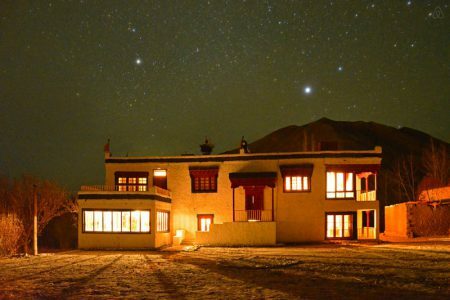 It spans a little more than 8 KMS but attracts a lot of travelers and is one of the favorite spots for car commercials. 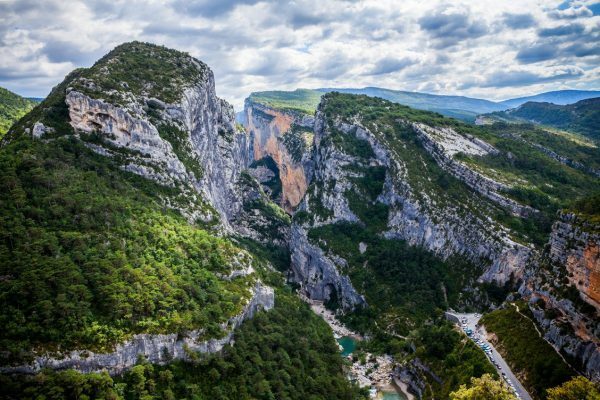 The Gorges du Verdon is a spectacular canyon carved out by the river Verdon between Castellane and Manosque. Surrounding the edge of the gorge is a road which makes for one of the most unforgettable road trips in France, offering 90km of breath-taking vistas. With drops of 2,000ft directly down, they afford the Continent’s most dramatic driving. It is a 115 miles stretch and late spring or late summer is the best time to drive in. 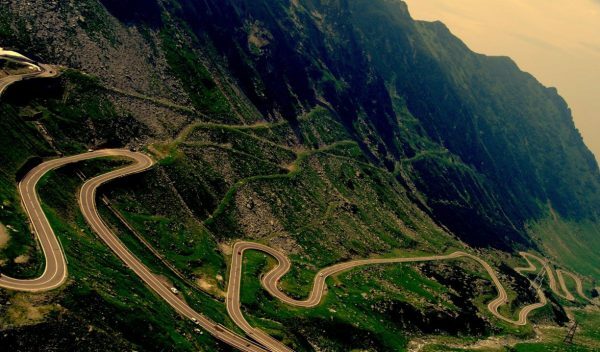 The Transfagarasan mountain road or national road 7C is one of the most spectacular roads in the world. It is 90 km (56 miles) long and is located in Romania. 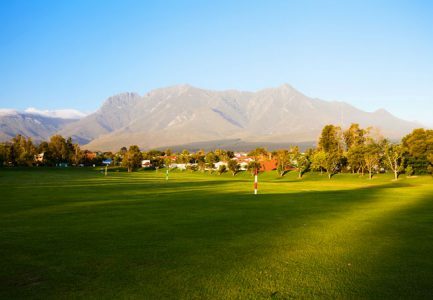 It runs through the Fagaras Mountains, a part of the Transylvanian Alps. The Transfagarasan rises to a height of 2134 meter and has sharp hairpin turns, a challenge for every driver. The maximum speed is 40km/h (25 miles/h). This scenic road is an extraordinary feat of engineering: a stretch of tarmac packed with tunnels, viaducts and bridges and which takes the skill of navigating hairpin bends to new heights. Don’t miss to play #AvisTravelQuiz, Famous Roads in the World, to stand a chance to win a free Honda City ride and other assured great rewards.